Larry David Gilreath, 76 years old, of Stony Point passed away on October 1, 2017. Larry was born on December 7, 1940 in Alexander County to the late Charlie and Daisy Gilreath. He was a graduate of Hiddenite High School and retired from Duke Energy after 26 years as a heavy equipment operator. 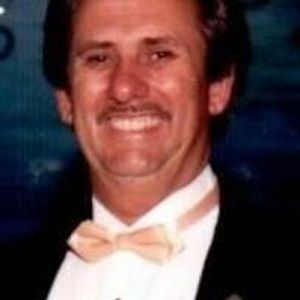 Larry is survived by his beloved wife of 54 years, Carolyn Dyson Gilreath; 2 sons, Kenneth Dean Gilreath and his wife Patti and Eric Keith Gilreath and his wife Wendy; a brother, Lynn Gilreath; 2 sisters, Peggy Sharpe and Carol Millsaps and her husband Archie; 3 grandchildren, Kendra G. Myers and her husband Brandon, Austyn D. Gilreath and Jacob E. Gilreath and 2 great grandchildren, Gavin P. and Alex C. Myers. The family will receive friends on Tuesday from 1-2pm at the Bunch-Johnson Funeral Home, 705 Davie Ave., Statesville with a funeral service at 2pm in the Westmoreland Chapel of the funeral home. Burial will follow in Iredell Memorial Gardens, Statesville. Online condolences can be sent to the family at www.bunchjohnsonfuneralhome.com. Bunch-Johnson Funeral Home is honored to be serving the Gilreath Family.